Well, it is safe to say Joe Maddon did NOT own October. At least Wade Davis is really rested. And I am guessing that John Lackey isn’t going to pitch in Game 3… or maybe ever again. Meanwhile Justin Turner has etched himself into Dodger lore by hitting a walk off on the anniversary of the Kirk Gibson shot. It is looking more and more like the Dodgers year. Brandon Morrow threw 2 shutout innings against the heart of the Cubs order to help set up the Dodgers 4-1 victory. Justin Turner drove in all 4 of the Dodgers run including a 3 run walk off shot in the ninth to sink the Cubs, 4-1. Carl Edwards Jr. struck out 3 Dodgers in 1 1/3 shutout innings in the Cubs 4-1 loss to the Dodgers. Addison Russell homered to account for all of the Cubs runs as they fell to the Dodgers, 4-1. There goes my “Indians vs. Nationals World Series” pick! Man, the heart break in Washington right now must be intense. (As in Cleveland too.) But the beat goes on for the Cubs who look to be the first repeat champion since the 1998-1999-2000 Yankees. Man, that’s quite a change from Billy Goats. 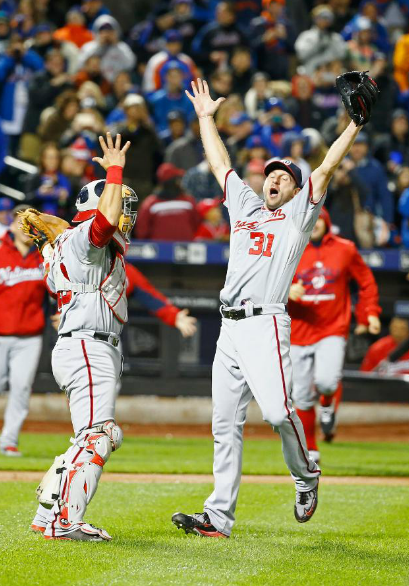 Willson Contreras got on base 3 times, scored a pair of runs and made a game turning snap throw to first that was eventually called an inning ending pick off that took the wind out of the Nationals sails and set up the Cubs clinching 9-8 victory. Wade Davis came into the 7th for a 7 out save. He got some help from a double play and a pick off that was reviewed and overturned but he went 1-2-3 in the 9th to seal the wild 9-8 Cubs win to eliminate the Nationals. Sean Doolittle struck out a pair and threw a 1-2-3 ninth inning to give the Nationals a chance to clinch in the bottom half of the inning. They came up short to the Cubs, 9-8. Michael Taylor reached base 3 times, homered and drove in 4 in the Nationals heart breaking 9-8 loss to the Cubs. Addison Russell went 4 for 5 with a homer and 2 RBI as the Cubs pounded Miami 11-1. Carlos Gomez homered twice, added another hit and drove in an eye popping 5 runs to give the Rangers an 11-4 victory over Toronto. Aaron Nola went 7 1/3 innings, striking out 8 Cardinals allowing 1 run and earning the 5-1 decision for Philadelphia. Jose Quintana pitched shutout ball into the 7th, finishing with 6 2/3 scoreless frames and striking out 9 Twins as the White Sox rolled, 9-0. Look, there is no way to sugar coat it, the Jason Heyward contract is about the biggest dumpster fire of a contract there may ever be. Having said that, everyone receives one mulligan. Even 3 time World Series winning GM Brian Sabean has had a horrible Matt Cain contract to contend with the last half decade. Theo Epstein hasn’t made too many blunders – and winning a World Series with both the Red Sox and now the Cubs has solidified a position for him in Cooperstown. Also lucky is the brilliant signing of Anthony Rizzo of a 7 YR deal prior to 2013, and when he asserted himself as a perennial MVP contender. There are only 4 players signed for $79.2 MIL so far. The Rizzo longterm deal a perfect contrast to the Heyward pact. Should Rizzo’s Team Options be picked up for 2020 and 2021 (for $16.5 MIL each year), then the club will still only have paid him $74 MIL from 2013 – 2021, spanning 9 years at an Annual Value of $8.2 MIL. That is completely lights out for the organization going forward. The one factor of brilliantly drafting and then rostering a club full of guys the same age is that they are all on entry level contracts for a few years before the squad becomes increasingly expensive before Arbitration rights kick in. 2018 will see Kris Bryant, Kyle Hendricks and Addison Russell all hit 1st year Eligible on Arbitration, and then 2019 has Javier Baez, Kyle Schwarber, Willson Contreras and Carl Edwards JR. hit the 1st year. it will be at this point the team shoots up the salary page. Other than Jon Lester, Heyward and Ben Zobrist, there are no real big salaries on the table for the team to digest. The biggest dilemma will be the status of Jake Arrieta. My guess is that he will want too much money and walk away from the Cubs. More important than that even is simply signing Free Agents (not named Arrieta) by Epstein. Epstein is creative. It is okay to figure out a Starting Pitcher in Free Agency, and also add another Closer if need be. Who knows, by 2018, Hector Rondon and Carl Edwards JR. may be able to lock down that role. There is still money to spend in the 2017 and 2018 winter markets for sure. Also playing in the NL Central provides them with security of being able to outspend all the other teams – with the Cardinals only being in the atmosphere. It is not like they are fighting in the tough NL West with the Giants and high spending Dodgers. It will still mean facing off against those clubs. and contending with the aging Nationals roster, and New York Mets young staff for a few seasons. Wrigley Field will be sold out, the revenue streams will break out to record levels, all freely flowing cash into the Ricketts family pockets. The good news is they are not in cap hell yet The bad news is that it would only take one more bad deal/paired with Heyward, in order to prevent the club from signing all of their young superstars to extensions. Epstein is too smart for that. Look for high value Annual Average Value’s that have expiring contracts before the 2018 and 2019 seasons. I wouldn’t be surprised if they trade for an existing ace pitcher. Think Zack Greinke now, or a guy like Justin Verlander in 2018 or 2019, where the other club may eat some of the salary, ask for a high level prospect, and then have a legitimate Starter to lug some innings in the playoffs. I also wouldn’t be surprised if the brass orchestrates a trade for a guy like Chris Archer – or Sonny Gray (midway through this year if he has healed himself). Maybe it would cost you a Javier Baez, or a combinations of Carl Edwards JR./Albert Almora JR. to do it, however with Ben Zobrist still in town, defense alignment can be configured in a lot of different ways for at least the next 2 – 3 years. Like I stated in the Giants Payroll article, the new CBA has also reeled in the Dodgers spending $300 MIL on team payroll. The best thing that could happen for the Cubs is if Clayton Kershaw were to opt out of his deal beyond 2017. That would either bring up the price for the Dodgers to sign him, or even give them the chance to sign the guy themselves. Yes. the Cubs have more flexibility than the Dodgers for at least a couple of offseasons. 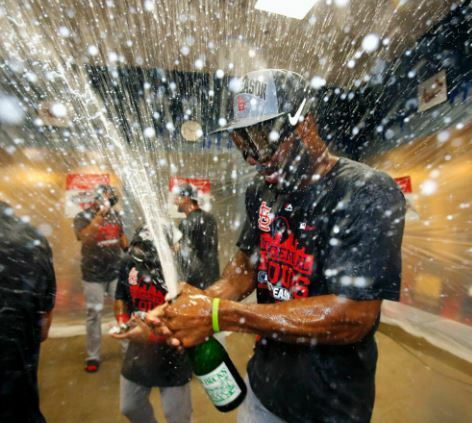 Jason Heyward – OF (28): With a grand sum of $184 MIL from 2016 – 2023 ( 8 years) this is a brutal deal – and the club is lucky to have already won a World Series in season 1 of this pact. Heyward will make an astonishing $28.2 MIL for both the 2017 and 2018 seasons. Epstein at least frontloaded the contract to erase some of the burden by the time the young talent comes up for raises. This deal is the 13th richest in history for a guy who carried a .631 OPS. in 2016 I tend to think that Heyward will be closer to his Career OPS of .761 the next few years with the pressure somewhat off him now. Hit him 7th or 8th and let him work out his kinks. Defense is at least not a problem here with him winning a 4th Gold Glove. This could end bad in 2017 – with Heyward riding pine for some of the year – if the club opts to use Zobrist, Schwarber and the tandem of Jon Jay and Almora JR. as the OF. You also have to think that Joe Maddon won’t hesitate to find Willson Contreras reps as well. Jon Lester – SP (33): Lester is in the 3rd year of a 7 YR/$165 MIL deal, and is set to reel in $25 MIL in 2017. The deal calls for $27.5 MIL in both 2018 and 2019, before scaling back to $20 MIL in 2020. There is a 2021 Club Option as well. Details on that: $25M Team Option, $10M Buyout option guaranteed with 200 innings in 2020 or 400 IP in 2019-20. With the Buyout that large, the man would have to fall from grace hard, to not get the Option. Although he would be nearly 40, $15 MIL extra will probably not be that bad. Lester is worth every dollar the club has spent so far. It is hard to find playoff proven commodities on the open market. Ben Zobrist – UT (36): Zobrist is the only player in the MLB who was won 2 straight World Series, as also being a member of the 2015 WS Champ KC Royals. With the availability to play 5 defensive positions, Zobrist was the perfect compliment to the Cubs defensive roster in 2016 – although he played predominantly at 2B. With the emergence of Baez in the playoffs, he will likely rove more around in 2017. Zobrist earns $16.5 MIL in both 2017 and 2018 – before retreating back to $12.5 MIL in 2019. He will be in his Age 39 season at that point, and it may not look so hot at that point, but one can’t argue at his flexibility on the Roster providing so many options in the title run. You can even say that his positional switching gives the club a better chance to hold onto Kyle Schwarber (instead of trading him in the American League). John Lackey – SP (38): Lackey joined Lester, David Ross. and Epstein as guys who have won World Series in 2013 with Boston and the Cubs in 2016. He will make $16 MIL in 2017 before hitting Free Agency in 2018. Lackey lugged 188.1 IP and gave the Cubs a 3.35 ERA in the process. It doesn’t even matter that he was being pulled in the early innings of the postseason. 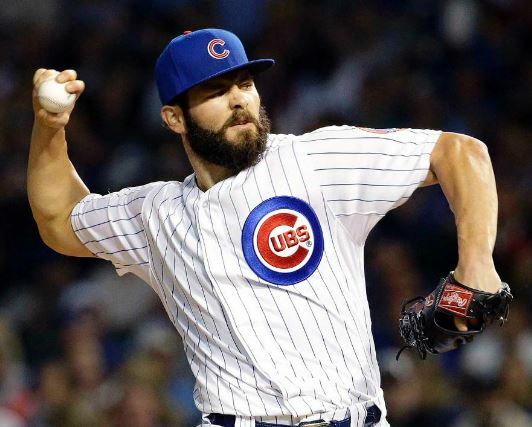 Jake Arrieta – SP (31): Arrieta earns a tidy $15.6 MIL this year and will likely head out into Free Agency as a Scott Boras client. Unfortunately the man is going to be 32 heading into 2018. I would not offer him higher than a 4 year deal at $20 – $21 MIL after, yet that will not get the job done when he hits the open market. Someone will pony up 5 YRs/$125 MIL for him, you watch. Miguel Montero – C (34); Montero will make $14 MIL in 2017 – and I am not sure he will Catch more than about 60 games. Contreras at last is on an entry level contract to offset this salary. I am surprised the team has not ventured out to trade him. 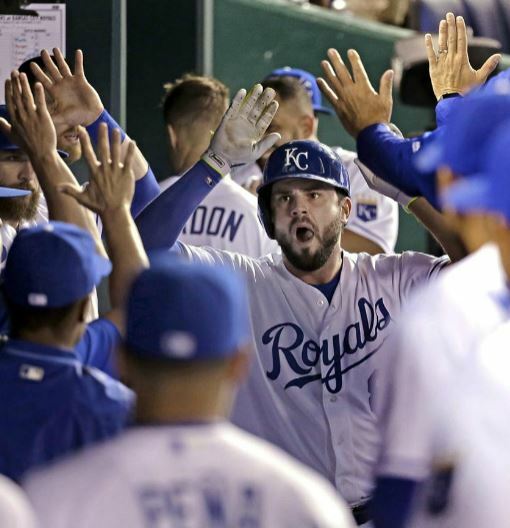 Wade Davis – CL (32): It cost the club Jorge Soler and 4 years of Team Control, yet this was the way to go. $10 MIL for one year of Davis (who Closed for the 2015 wS Champion Royals) is smart business practice. To acquire an elite Reliever such as this is a great move – when you consider the Yankees, Dodgers and Giants spent $86 MIL, $80 MIL and $62 MIL to sign Aroldis Chapman, Kenley Jansen and Mark Melancon respectively. Soler was going to be their 7th option as an OF. Davis, by the way, has a 0.83 ERA in 32.2 IP for his postseason career – and has carried a mid 1 ERA from 2014 – 2016 as a late inning Reliever – spanning 183 IP. I would also think the club will extend the Qualifying Offer to him this winter ( $17.5 – $19 MIL range for one year), so they may even recover a 2nd or 3rd Draft Pick back all for just $10 MIL. 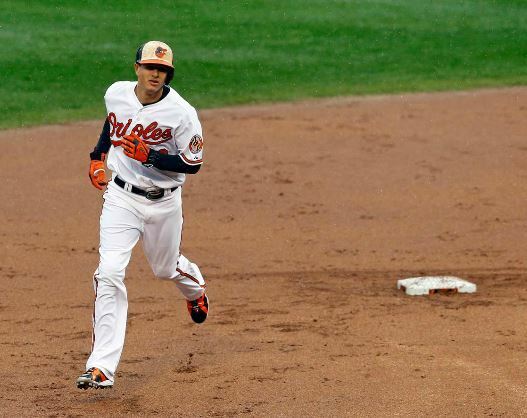 Jon Jay – OF (32): Has a 2017 contract or $8 MIL to play OF. He has a career .352 OBP, so could hit 1st or 9th for Maddon, working as an on base guy for the big boppers. Brilliant little move. Anthony Rizzo – 1B (28): Rizzo will take him $7 MIL for 2017, coming after the heels of an ALL-Star, Gold Glove, Silver Slugger and top 4 MVP season in which he clubbed 30+ HRs and added 100 RBI for a 2nd straight season. Rizzo also makes $7 MIL in 2018, $12 MIL in 2019, and two Team Options in a row call for $16.5 MIL and $2 MIL Buyouts for both 2020 and 2021. It is contracts like this that setup championship caliber clubs for the organization. Other valued deals that compare to it last decade or so. Paul Goldschmidt (5 YRs/$32.5 MIL), Madison Bumgarner (6 YRS/$35.6 MIL) and Andrew McCutchen ( 6 YRs/$51 MIL) that coincided with 4 straight top 5 NL MVP finishes. Rizzo should challenge for an MVP every year of that remains on this deal. Koji Uehara – RP (42): $6 MIL for one year seems like a lot or a guy of his age, but Uehara has plenty of playoff/Closer experience that is invaluable to a club like this. I would take it easy on him in the regular season and save the bullets for playoffs. Hector Rondon – RP (29): $5.8 MIL for this former Closer is not a bad deal in 2017. Rondon has one more year left of Arbitration before hitting Free Agency in 2019. He has 77 Saves and a career ERA of 2.97. Justin Grimm – RP (29): Avoided Arbitration with a $1.8 MIL, has 2 more years left of Arbitration before he is a Free Agent. Pedro Strop – RP (33): Is projected to to earn $5.5 MIL in Arbitration, and is a Free Agent in 2018. Tommy La Stella – INF (28): Is Arbitration Eligible from 2018 – 2020 and a Free Agent in 2021. Kyle Hendricks – SP (27): Is Arbitration Eligible from 2018 – 2020 and a Free Agent in 2021. Kris Bryant – 3B Is Arbitration Eligible from 2018 – 2021 as a “Super 2” and a Free Agent in 2021. Bryant is only 25 Years old, and will have 4 years of Arbitration kick in starting next season. Since the club opted to start his 2015 after the 10 days of service time, they wll retian his rights until the end of 2021. Bryant is on pace to end up recording Arbitration cash if he keeps his career trajectory. The club should really look to extend him similar to the Mike Trout 6 YRs.$144 MIL deal he got. Addison Russell – SS (23): Is Arbitration Eligible from 2018 – 2021 as a “Super 2” and a Free Agent in 2022. 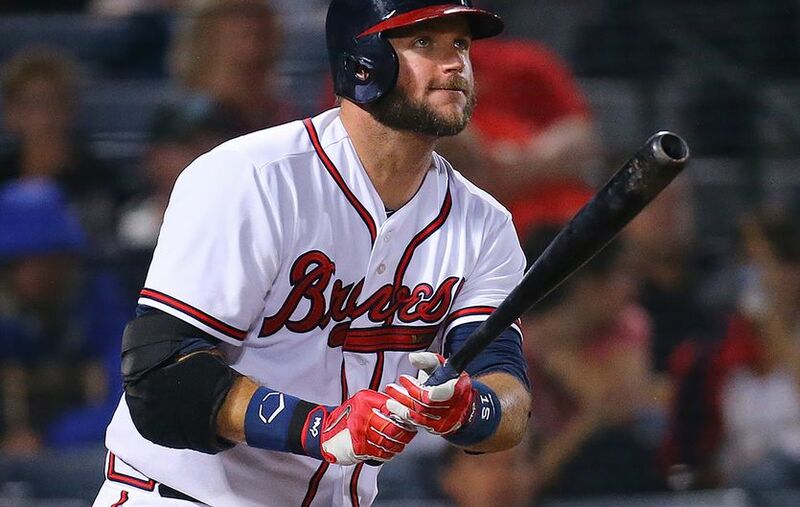 Matt Szczur – UT (28): Is Arbitration Eligible from 2019 – 2021 and a Free Agent in 2022. Javier Baez – 2B/3B (24): Is Arbitration Eligible from 2019 – 2021 and a Free Agent in 2022. Mike Montgomery – SP/RP (29): Is Arbitration Eligible from 2019 – 2021 and a Free Agent in 2022. Kyle Schwarber – OF (24): Is Arbitration Eligible from 2019 – 2021 and a Free Agent in 2022. Willson Contreras – C (25): Is Arbitration Eligible from 2022 – 2022 and a Free Agent in 2023. Albert Almora JR – OF (23): Is Arbitration Eligible from 2022 – 2022 and a Free Agent in 2023. Rob Zastryzny – RP (25) Is Arbitration Eligible from 2022 – 2022 and a Free Agent in 2023. Jason Hammel – $2 Million Buyout for 2017 that was agreed to in a gentleman’s deal. There is no dead money on he books past 2017 thus far. Despite the Heyward mistake of a deal, Epstein has done everything right. It will be a constant maneuvering of the incoming talent – to surround the plethora of young superstars the club has. The Cubs have the availability to sign an elite pitcher in Free Agency in the year or 2, or trade for one. Beyond that, the team can’t make another top 50 ALL – Time Salary roster mistake. The brass should also investigate early extensions for Bryant, Ruseell and Contreras immediately while they may afford to wait for Hendricks and Schwarber yet. As for Arrieta, he is just too old – an unorthodox in order to grant him the cash he will seek. Epstein has to find creative ways to bring in a #1 or $2 beyond this campaign. Chicago is fantastic shape financially to spend as much as it takes to ensure a dynasty in the next half-dozen years. If I were in charge I would try to limit any big historic contracts to their own young superstars from this point forwards. Also don’t be afraid to trade one of the premiere young offensive players for a quality Starter (#1 or #2 Starter)like Baez, Contreras or Almora. One series is over while the other is all knotted up after four games. Time to see who owned October. Francisco Lindor collected 3 hits and scored the first run in the 3-0 Cleveland victory that clinched the pennant in Toronto. Ryan Merritt threw only his second ever major league start and made it count. He pitched shutout ball into the 5th inning and allowed the Indians to tap into their bullpen, who finished up the games, series and pennant, 3-0 over the Blue Jays. Mike Montgomery threw a pair of shutout innings out of the bullpen and stopped the Dodgers from getting back into the game as the Cubs poured it on, 10-2. Addison Russell woke up from a nasty slump to go 3 for 5, including a 2 run homer, to lead the Cubs past the Dodgers, 10-2. Jose Bautista singled and hit a double in the 9th inning but was stranded as Toronto was eliminated in the ALCS by Cleveland, 3-0. Justin Turner reached base twice and drove in the Dodgers only 2 runs as they were blown out in Game 4 by the Cubs, 10-2. Andrelton Simmons hit 2 homers to help the Angels prevent a sweep by the Rangers with a 3-2 final. Corey Kluber struck out 10 Twins in 7 innings, allowing 1 run and earning the 7-1 Cleveland victory. Addison Russell went 3 for 4 with a homer, scoring 3 times to help the Cubs slug past Houston, 9-5. Jose Urena missed a complete game shutout by one out, finished with 8 2/3 scoreless frames, allowing 4 hits as the Marlins blanked the Dodgers, 3-0. They all owned baseball on September 11, 2016. Nolan Arenado went 4 for 5 with a pair of homers and 6 RBI as the Rockies clobbered the Cubs, 11-4. Noah Syndergaard shut the Giants out over 8 strong innings, allowing 2 hits and getting the 2-0 Mets victory. Justin Upton drove in 6 with 2 homers to lead Detroit past Boston, 10-5. 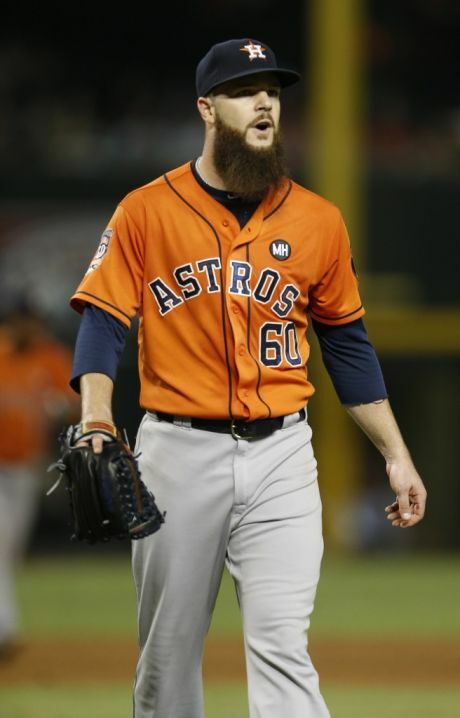 Dallas Keuchel allowing 2 runs over 8 innings, striking out 7 Baltimore hitters and earning the 5-3 decision for Houston. They All Owned Baseball on August 21, 2016. P- Jake Odorizzi (vs. New York Yankees): $8,200. Odorizzi entered his last start with a 20.2 inning scoreless streak. Unfortunately, he lost that streak, but he still pitched decent. In his last three starts, he is 2-0, with a 1.00 ERA, and 15 strikeouts in 18 innings pitched. In two starts against the Yankees in 2016, he has a 1-1 record, 1.12 ERA, and 11 strikeouts. 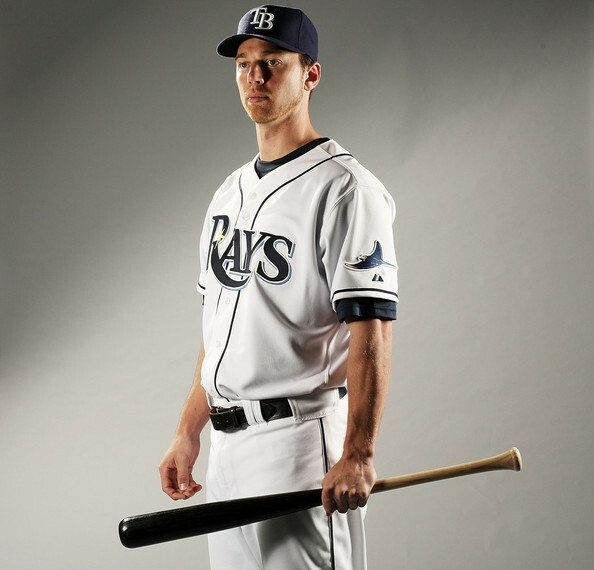 P- Tom Koehler (vs. Chicago White Sox): $8,600. Koehler has been lights out recently. Over his last three starts, he has a 2-0 record, 0.47 ERA, and 18 strikeouts in 19 innings pitched. With that said, he is going up against a pretty weak Chicago White Sox lineup. Over the last seven days, the White Sox have a .695 OPS, which ranks 20th in Major League Baseball. P- Jose Quintana (vs. Kansas City Royals): $10,300. 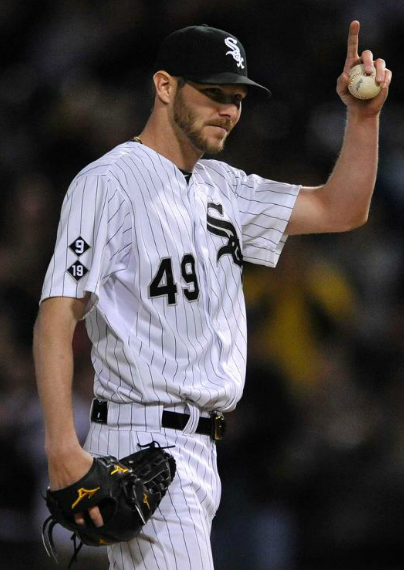 Over his last three starts, Quintana has a 1-0 record, with a 1.74 ERA, and 16 strikeouts in 20.2 innings pitched. He is one win away from his 10th win, so he should be amped to succeed. Over the last 10 games, the Royals rank 26th in OPS with .654, so clearly they are struggling offensively. Quintana should have no problem taking care of business on Wednesday. P- Jason Hammel (vs. Los Angeles Angels): $8,000. 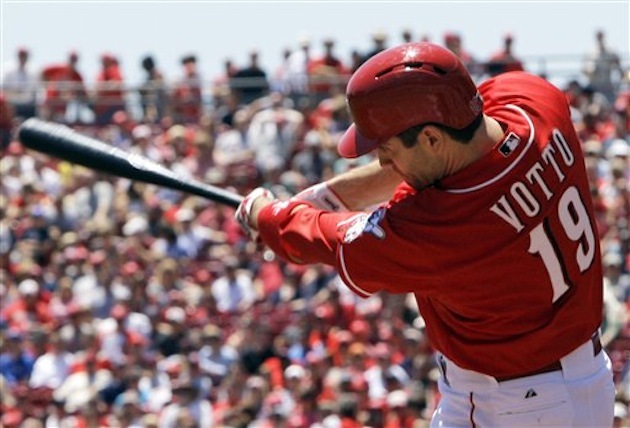 In 66 career at bats against Hammel, the Angels’ offense is batting .212, with two XBH, and a .286 OBP. Over Hammel’s last 21 starts, he has given up one or zero runs in 10 of those starts. He is also very effective at home this season, which is a plus for Wednesday night. P – Jon Gray (vs. Baltimore Orioles): $10,500. The Orioles have been horrendous over the last seven games. They are ranked last in OPS with a .599. Meanwhile, Jon Gray has been absolutely filthy over his last few starts. In his last three starts, Gray has struck out at least eight batters and he has only given up three runs in 20.1 innings pitched. Over his last 11 starts, he owns a 2.93 ERA. P – Matt Moore (vs. Los Angeles Dodgers): $7,500. Over his last nine starts, Moore has thrown at least six innings. 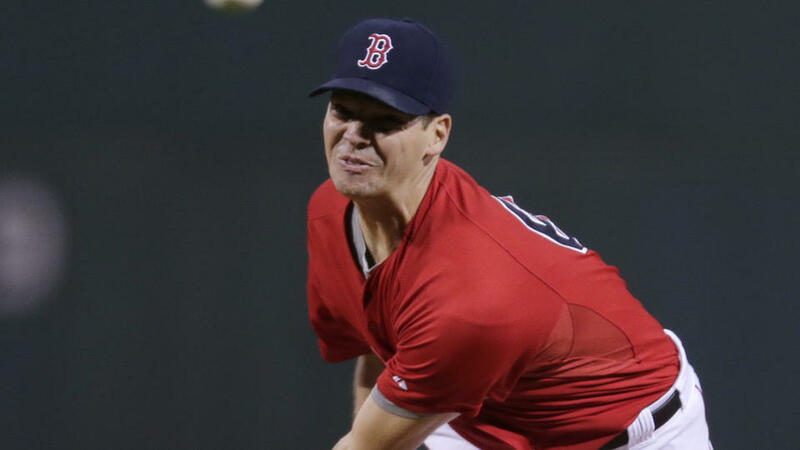 He is facing a Dodgers’ lineup who has struggled mightily against left-handed pitching. In 831 at bats against lefties, the Dodgers are batting .218, with a .295 OBP, and a .350 slugging percentage. P- Jerad Eickhoff (vs. Minnesota Twins): $9,400. All of the top tier pitchers have tough match-ups on Thursday, but Eickhoff has a very favorable matchup. 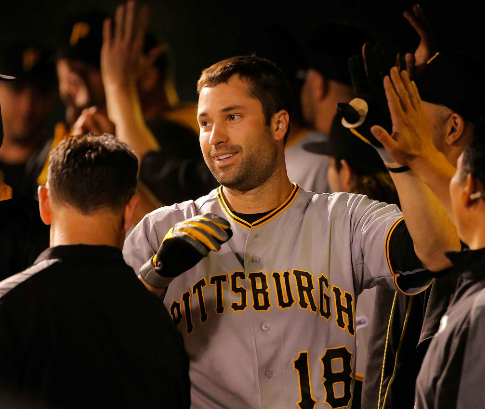 He will be facing the Minnesota Twins, who have scored the fewest runs in the American League this year. So far in 2016, Eickhoff is 4-9, with a 3.49 ERA, 83 hits against, and 73 strikeouts in 85 innings pitched. His record isn’t pretty, but it is more a matter of lack of run support, which shouldn’t be an issue against the Twins. 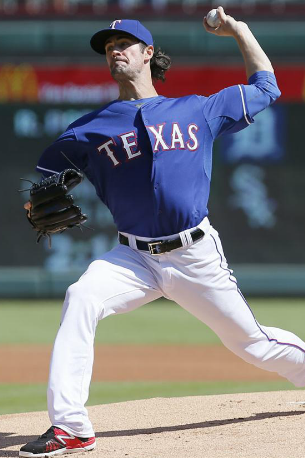 P- Tim Lincecum (vs. Oakland Athletics): $7,100. Lincecum dominated the A’s in his season debut on Saturday. 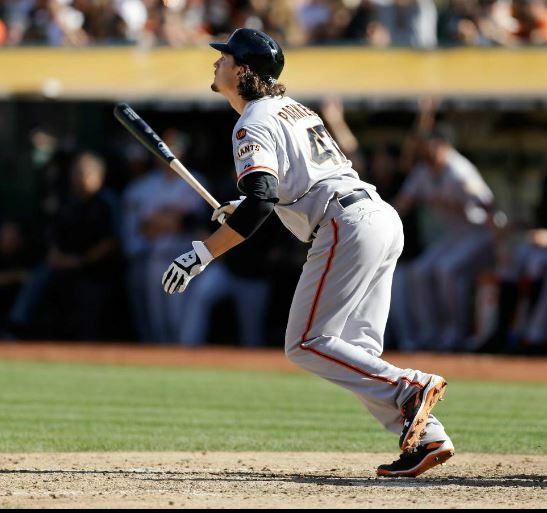 The A’s offense has really struggled recently, so Lincecum should be able to take care of business again on Thursday. Over the last seven games, the A’s rank 29th in runs, 29th in OBP, and 29th in slugging. This will also be Lincecum’s debut at his home stadium, so the crowd will be behind him, which should help him succeed. 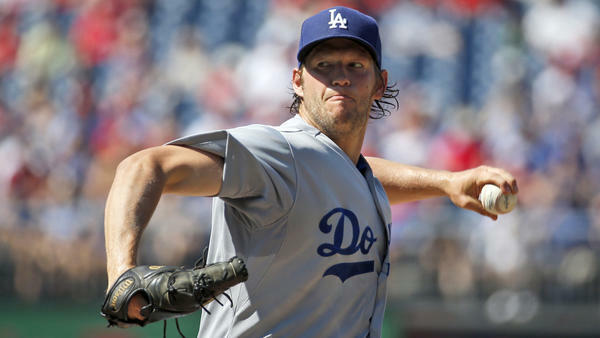 P- Clayton Kershaw (vs. Washington Nationals): $14,200. It is close to impossible not to start Kershaw every time he steps on the mound. He is averaging 30.1 points per game this season on DraftKings. He currently owns a 19-1 strikeout to walk ratio, so he should provide plenty of points every time he steps on the mound. 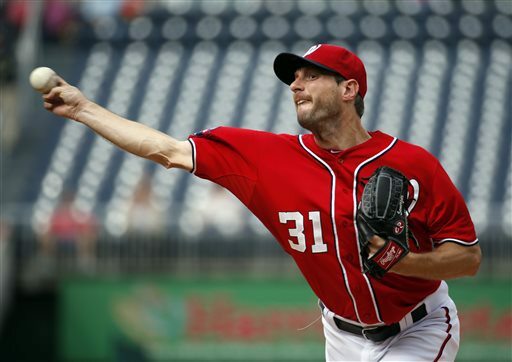 In 155 career at bats against Kershaw, the Nationals’ offense is batting .219, with 48 strikeouts, and a .265 OBP. P- Drew Smyly (vs. Cleveland Indians): In 77 career at bats against Smyly, the Indians’ offense is batting .195, with 24 strikeouts, and a .249 OBP. He struggled over the past month or so, but he dominated his last time out, in which he struck out 12 batters over seven innings. Could this be the year that the Chicago Cubs break their curse of not winning a World Series title since 1908? Many baseball fans and critics believe they have the best shot out of all teams in Major League Baseball. The Chicago Cubs organization has done an amazing job at developing homegrown talent over the past 4 to 5 years and this young talent is starting to make a massive impact in the big leagues. Not only are the Cubs producing homegrown talent, but they made a huge splash in the free agency market this Spring. This team has so much talent that there are multiple very talented players who currently don’t have a spot in the lineup. 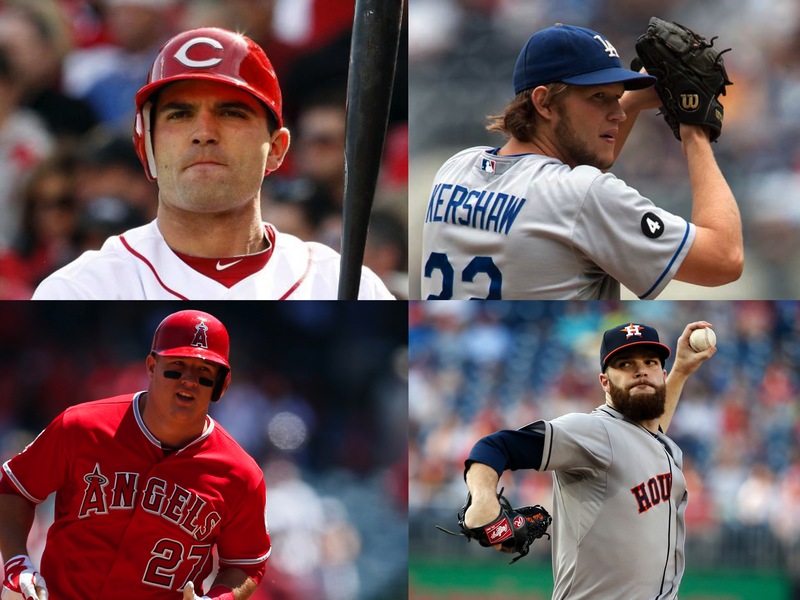 In this article I will highlight each position and share the key organizational depth that could possibly bring home a World Series title in 2016. Each position will list players who are projected to start and prospects that could have an impact within the next 2-4 years. Players with multi-positional eligibility will have this listed in their bio. Prospects will be listed at positions that they are projected to play when they arrive in the big leagues. St. Louis has been an elite team in the National League for the last 15 years. While Chicago deserves to be favorite in the NL Central – and to win the World Series, never sleep on the St. Louis Cardinals. This team has 9 LCS Appearances since 2000, and did win 100 win games last campaign. Throw in a championship pedigree – and a brilliant youth movement, aided by a few cagey veterans, and the gap is just not that great compared with the Cubs. 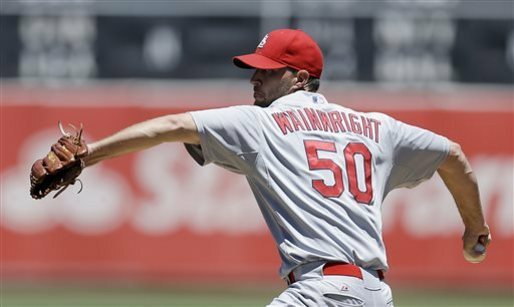 A huge effort by Adam Wainwright, with less than perfect years from Arrieta and Lester may be all it takes for the RedBirds to remain the kings of the NL Central. The Cubs have signed Dexter Fowler and traded away Chris Coghlan yesterday, and the Cards will have another week this winter where they are not the focus of the NL Central. It probably suits them just fine. On the heels of a 100 win campaign during 2015, the gambling websites, PECOTA and FanGraphs are all projecting a massive regression for St. Louis in 2016. I am not one of those people. 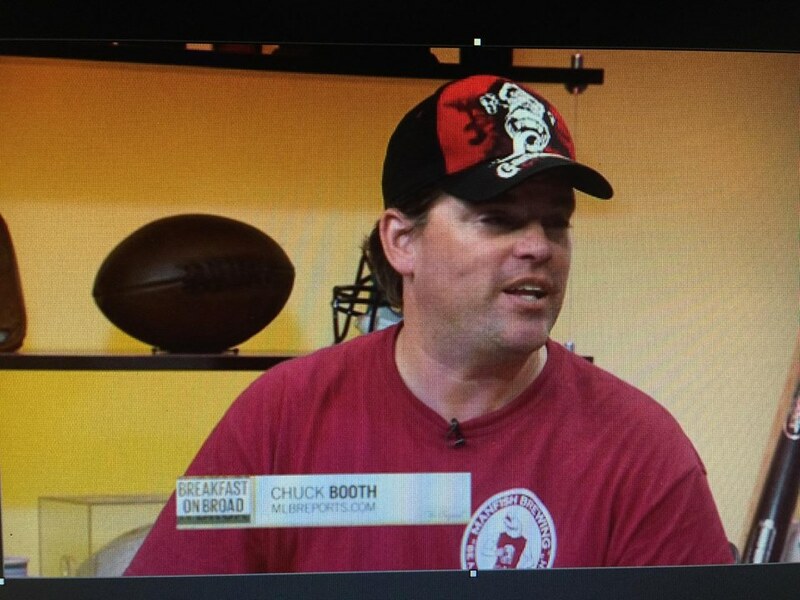 I, for one, think the Cardinals are still to be reckoned with. Switch out a potentially healthy Matt Holliday, coupled with full years from Stephen Piscotty and Randal Grichuk – for the departed Jason Heyward to the Cubs, and I like that. Throw in Adam Wainwright and Mike Leake, for the loss of Lance Lynn and John Lackey, and I still like that almost as even. In the last year of the current CBA, there is potentially only one more year to take advantage of a feeble penalty as a first time abuser in 2016. With Boston set to join the Dodgers and Yankees as abusers, I took a look at other teams who should consider the 2016 campaign as a rare gamble to dole out some cash in seeking a World Series trophy before the new CBA is authored in prior to the 2017 season. The Boston Red Sox might just be on to something. They will be penalized for the 1st year of going over the new $189 MIL limit in 2016, but it is also the last year the CBA may have the percentages. Currently right now, there is a 17.5% penalty for spending dollars over $189 MIL. The Dodgers and Yankees are the only other teams that are budgeted over the mark in addition to Boston. 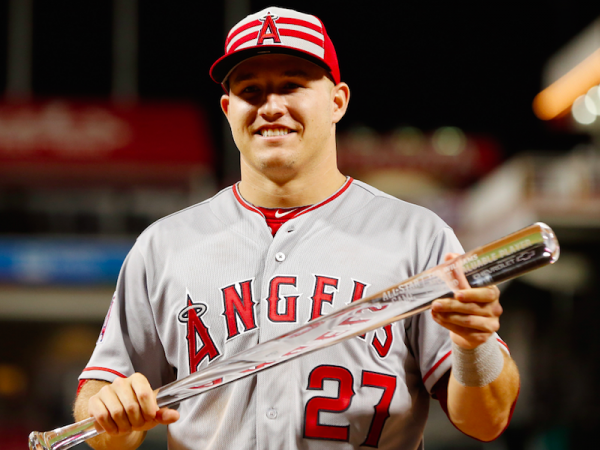 On the cusp are the Detroit Tigers, sitting at around $177 MIL – while the Giants and Angels are nearly at $170 MIL. The Cubs are also near the $165 MIL area. I absolutely love the signing of Zobrist for the Cubs. He is a quality veteran Utility guy for this young versatile club. Zobrist at 35 may have been pricey at the four year deal work, but they were able to trade away Starlin Castro as a result. Zobrist was vital to the Royals 2015 World Series Playoff run – and is Joe Maddon’s favorite all time player. His ability to switch all over the field will give guys like Schwarber, Baez, Soler and Russell all the availability to thrive with matchup maneuvers. The Cubs should not stop here though. They need to acquire a CF – and trade for a #3 starter at some point in the next 8 months. The Cubs finally threw their names in the ring on the Free Agent front this week by first signing ultra Utility man Ben Zobrist to a 4 YR/$56 MIL -on the heels of John Lackey to a 2 YR/$32 MIL deal. 2015 was a nice breakout season – and the furthest the team has gone in 12 years however this franchise needs to spend as much money and continue to pursue an end to their century plus World Series drought.